Participating TMA companies from L to R: Alliance Specialties and Laser Sales, United Scrap, WIPFLI, Gem Automation, Armin Tool & Mfg., Wintrust Bank, Marketplace Chaplains, Detterbeck, Johnson & Monsen. 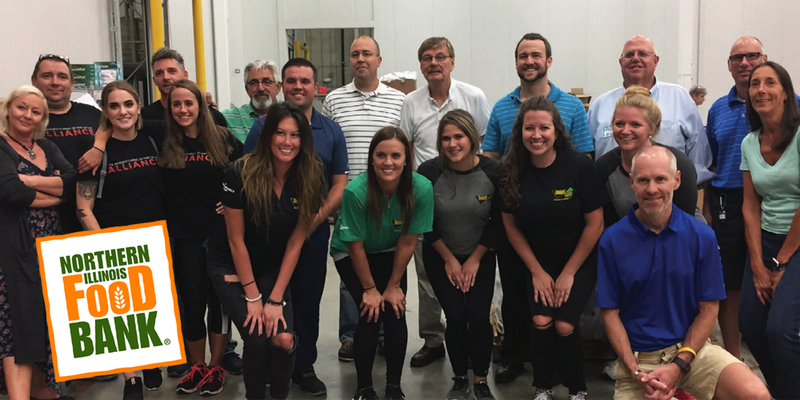 In August, nineteen energetic and charitable TMA members met at the Illinois Food Bank in Geneva, Illinois to spend time helping others in need. It’s something Amy Arends, chairman of TMA’s Christians in Manufacturing, hopes to see grow in the years ahead. “It was a great event with great people! Hopefully we will pack the place with even more TMA members next year!” Arends said after the group’s second annual drive. Two TMA companies tied for bringing the most participants: United Scrap and Alliance Specialties & Laser Sales. Six from each of those two companies did their part, along with representatives from six other TMA member companies, and Kent Gladish of TMA. Altogether the group packed over 11,000 pounds of potatoes that contributed to over 9,000 meals for area needy families. 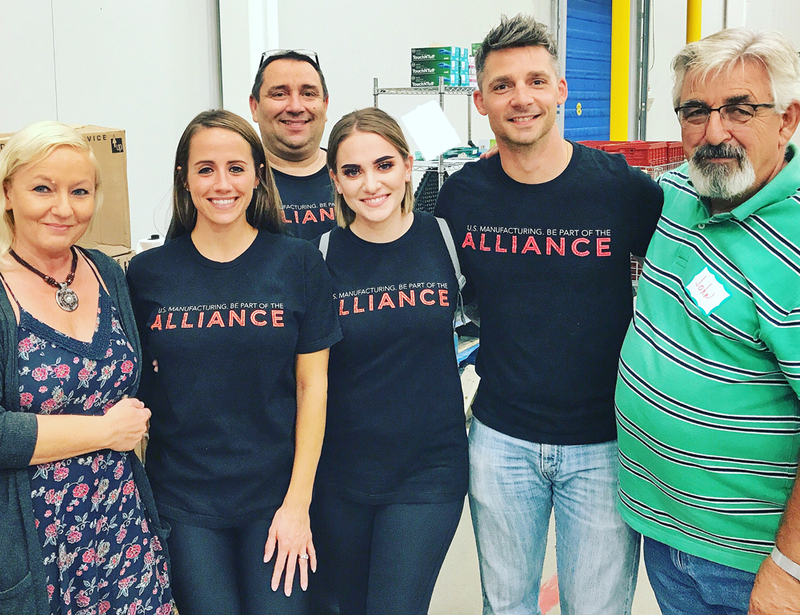 “It was an outstanding team building exercise and a reminder that small acts of kindness can make huge differences in people’s lives,” Tony Demakis of Alliance Specialties & Laser Sales said. Christians in Manufacturing will hold their annual Thanksgiving Breakfast November 3, 2017. Save the date and plan to attend. This article was featured in the September 2017 TMA News Bulletin. Click here to download the full version of the magazine. Would you like to be part of the TMA? Click here to learn more.